CBReptile.com is proud to be one of the best gargoyle gecko breeders in the USA and has some amazing gargoyle gecko morphs for sale! Looking for top quality blotched gargoyle geckos for sale? We have some of the nicest baby, juvenile and adult blotched gargoyle geckos for sale including the best-blotched gargoyle gecko color morphs? Buy blotched gargoyle gecko for sale online from Cbreptile.com! Striped gargoyle gecko breeders are available across the country, but CBReptile.com specializes in top genetics and vividly colored, calm tempered baby geckos and adult striped geckos for sale online. When considering purchasing a new baby gargoyle gecko, it is important to be sure that the breeder is only working with captive bred adult gargoyle gecko breeders and nothing wild caught. At CBReptile.com, we ONLY work with 100% captive bred reptiles for sale online and do not work with or condone any type of wild-caught geckos. 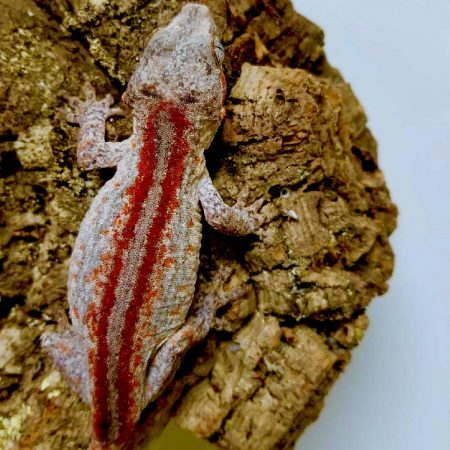 We are proud to have worked with and created some AMAZING gargoyle gecko color morphs for sale and hope you enjoy our living art as much as we do produce them for our loyal customers! Be sure to check out our EXACT gargoyle gecko for sale page to see some of our nicest available gargoyle geckos for sale at that time. They will be priced accordingly, and therefore will always be a bit more expensive than purchasing a particular “gargoyle gecko color morph” rather than the exact animal available in the exact gecko section. CBReptile.com has some of the nicest baby, juvenile and adult gargoyle geckos for sale including the best-blotched gargoyle gecko color morphs? Buy blotched gargoyle gecko for sale online from Cbreptile.com! Striped gargoyle gecko breeders are available across the country, but CBReptile.com specializes in top genetics and vividly colored, calm tempered baby geckos and adult striped geckos for sale online. Gargoyle gecko morphs or gargoyle gecko color morphs for sale are what make being the best gargoyle gecko breeders around even more fun! The blotched gargoyle gecko for sale is a colorful variant of the reticulated gargoyle gecko. Baby blotched gargoyle geckos are often available in red, orange and sometimes yellow.